Paediatric Dentistry is a specialty concerned almost exclusively with the maintenance of oral health of children, adolescents and some patients with special needs. Childhood has been identified as the most important period in a person’s ‘dental life’. We have found that even when children have been to the dentist before, they often do not know what to expect when they come to see us. On the first and all subsequent visits, we aim to provide children with full information about the appointment, to help them overcome their anxieties. We firmly believe that this approach prepares the child to enter adulthood with a positive attitude towards dental health. 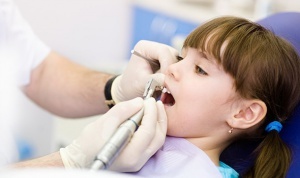 How Are Children Dental Cares? 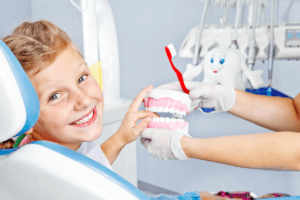 Children’s treatments (paediatric dentistry services) are similar to adult treatments, however, there are some made exclusively for the youngsters. These are mainly down to the difference in development between children and adults. When Should You Take A Child To The Dentist? It is thought children should start going to the dentist between the ages of 6 months to 1 year old as that is more or less the same time they start to get their milk teeth. After that it is advisable to keep these visits regular to prevent any issues. What Will Be Done At These Appointments? Prevention: The reason to take your child go to the dentist is really to prevent any problems further down the line. Through regular visits any issues can be found in time to prevent any significant problems before it actually appears. Cavities: Another reason is to avoid cavities. The frequent intake of sugars is enough to cause dental cavities in a child so vigilance is important. Fluoride: It is also important to apply fluoride to help prevent tooth decay. Controlling plaque: Children need a lot of attention and care because of the risk of appearance of cavities. To this end, one of the main reasons to go to the consultation is to control plaque which builds up and can lead to dental cavities. Education: It is also important to teach children the proper procedures to maintain a good oral hygiene. Please contact us to book a dental appointment for your child.